Perugia did these extraordinary heels in circles, others like the shape of a bent propeller, and he did shoes with heels made of metal. 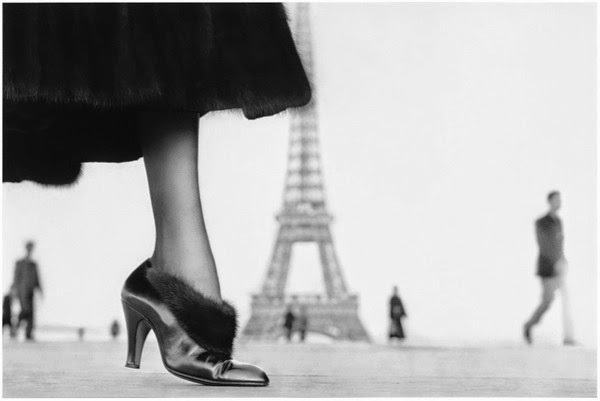 He was really an authority on shoes and construction, but he never recovered his glory after WWII. As much as we like Jerry Miller , this is not the case. 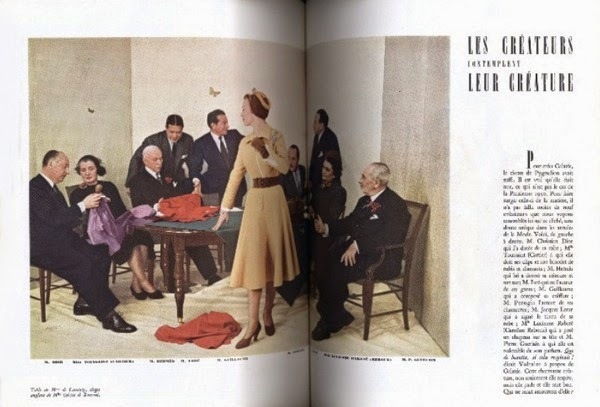 For instance, back in 1950 a special edition of the Album du Figaro (#23) featured a double page spread of THE French names in luxury fashion: a collective photo portrait with Christian Dior, Mlle Toussaint (Cartier), Hermès, Guillaume and Guerlain among others and Perugia is literally in the middle of it: the only bottier invited at the table, so to speak. 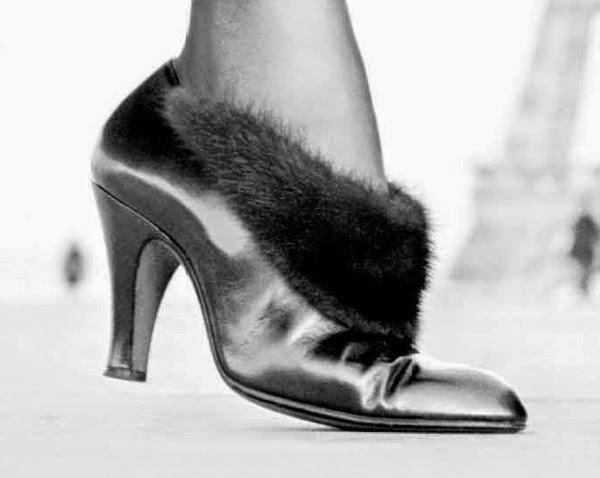 From the end of the 40's until mid to late 50's Perugia produced some of his best designs for Griffe, Fath, Cardin and Givenchy alongside his lifelong association with I.Miller. 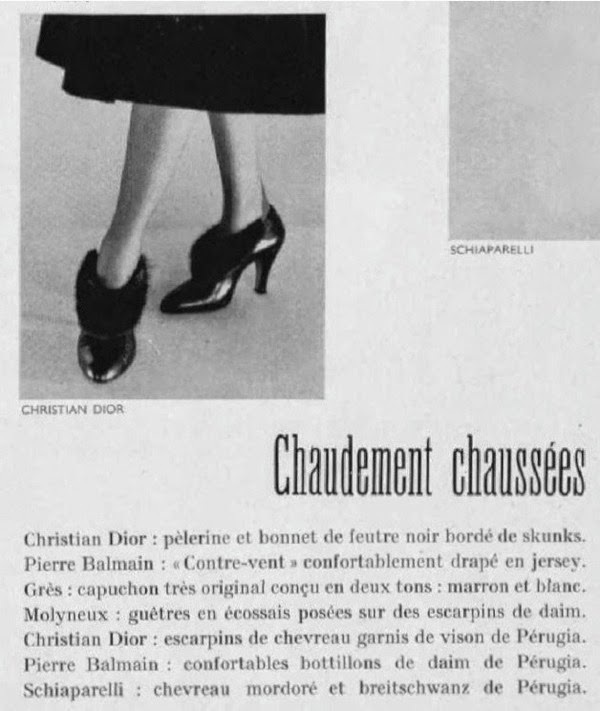 Often overlooked is the work André Perugia did for Christian Dior save for the celebrated Avedon photo . Here's your chance to see something more. Jerry (Jerrold) Miller, of I.Miller/Margaret Jerrold/Shoe Biz fame, with his autobiography single-handedly managed to save the history of the I.Miller family/shoe empire highlighting along the way nuts and bolts of the shoe trade. Not to mention his work experience with the Parabiago shoe district and many Italian shoemakers all over the Country. 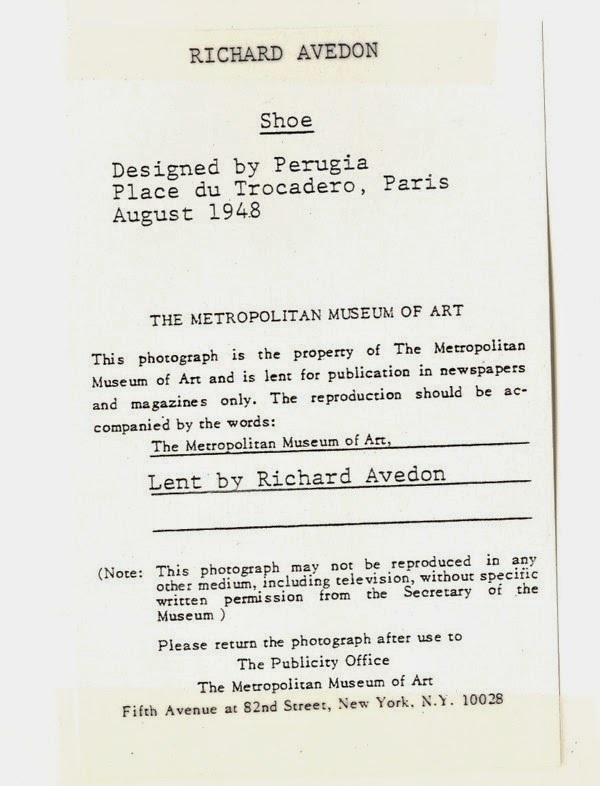 Provided by the Richard Avedon Foundation, a limited edition print (signed and dated) of the photograph above was sold at Christie's for $ 40,819 (November 2010). Strange things happened. Note the "Please return the photograph" note at the bottom of the picture: this one was sold on ebay in 2013.